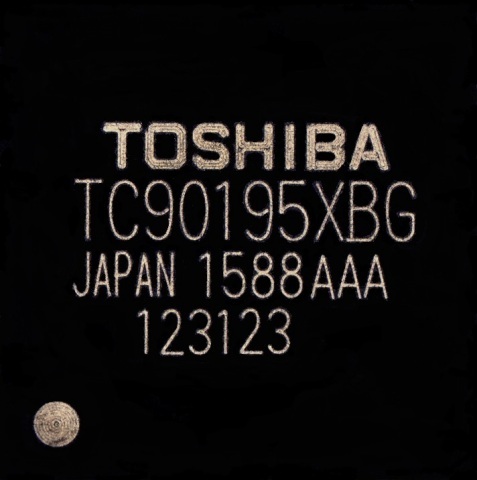 TOKYO — (BUSINESS WIRE) — March 25, 2016 — Toshiba Corporation's (TOKYO:6502) Semiconductor & Storage Products Company today announced the launch of “TC90195XBG,” a new dual picture video processor for high resolution automotive displays. Mass production is scheduled to start in June 2016. As well as navigation systems, driver support information displays are increasingly used in vehicles, prompting demand for larger panels with higher resolutions. Toshiba’s new video processor supports wide XGA+ (1920x720 resolution) panels, improving on the support for wide VGA (800x480) of the company’s preceding product. It can also simultaneously output two digital video signals, to a wide XGA+ panel and a wide VGA panel; the earlier product output only one signal. Going forward, Toshiba will continue to expand the line-up of automotive video processing ICs to meet growing demand. Connects to wide XGA+ (1920x720) high resolution panels. Input stage complies with LVDS (OpenLDI) and LVTTL, and a single image is composed from these two signals and displayed to wide XGA+ panel. It can separate the signals and output them independently to two panels, with resolutions of 1280x720 (LVDS output) and 800x480 (LVTTL output). A new picture improver circuit enhances low resolution images for display on high resolution panels.